The farmhouse is surrounded by spectacular olive groves consisting of about four hundreds olive trees. The property’s passion and daily meticulous commitment goes to the advantage of the high quality of its olive oil. The olive harvest, carried out exclusively by hand picking, takes place when the degree of ripeness of the fruit ensures the highest quality of our oil. Because “only those few, who have a family production, can afford olive harvest by hand picking. 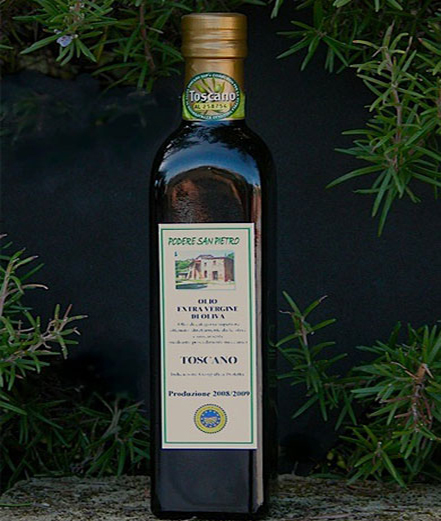 Our oil is guaranteed by the Consortium for the protection of Extra Virgin Olive Oil IGP, which was officially formed in 1997 with the aim of protecting and promoting the name “Tuscan” for the Extra Virgin Olive Oil produced in the Tuscany region. 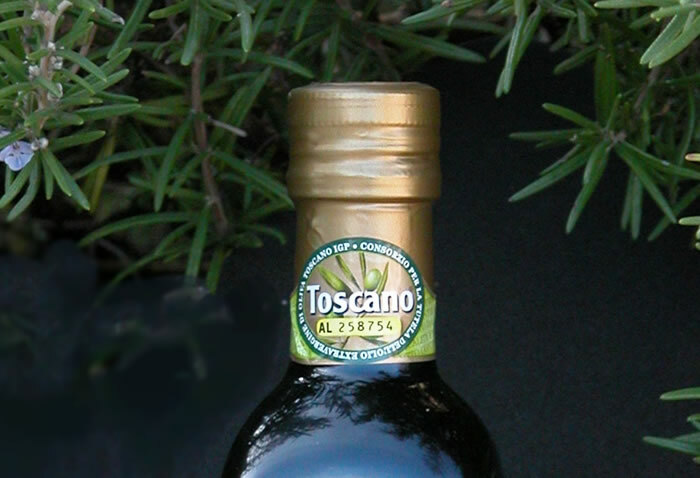 With its own brand it guarantees the “real Tuscan” origin of the product, from the cultivation of olives, extraction, to its packaging. In addition to ensuring the authenticity of its origin, the Consortium also ensures the quality by checking the chemical parameters (such as the fatty acid composition, peroxides, spectrophotometry, the amount of polyphenols and tocopherols) and by testing of the organoleptic features (the absence of defects and the different taste and smell sensations). We can safely state that our oil is superb. Yes, superb, just thinking that olive oil is classified virgin when the free acidity, expressed as oleic acid, is less than 0.80 grams per 100 grams (0.80%), and ours has an acidity of 0, 12!! And the number of peroxides is less than 20 (meq. O2/Kg. Oil) and ours has 4.82!! Our oil is sold at the farm, but it can also be shipped to your home in bottles or sealed cans. Please fill in the request form and we will send you all relevant information by email.